According to Merja news.com and quoted by Ethiopian Review web page , US denies entry visa to two of Ginbot 7 executive committee members. The two are holders of European passport and reportedly citizens of Great Brtian and Belgium. The names of these two individuals are Dr. Tadesse Biru who is a citizen of Britain , and the other individual is Mr. Abebe Bogale , a passport holder of Belgium. It is not clear why the authorities in US didn’t allow them to get into US since they both carry European passport. Mean while another High profile G7 member is returned back from Eretria on Saturday September 19, 2015 after TPDM Chairman Mola Asgedom abandoned the newly formed alliance and took away 700 of his armed members and left for his birth country Ethiopia. 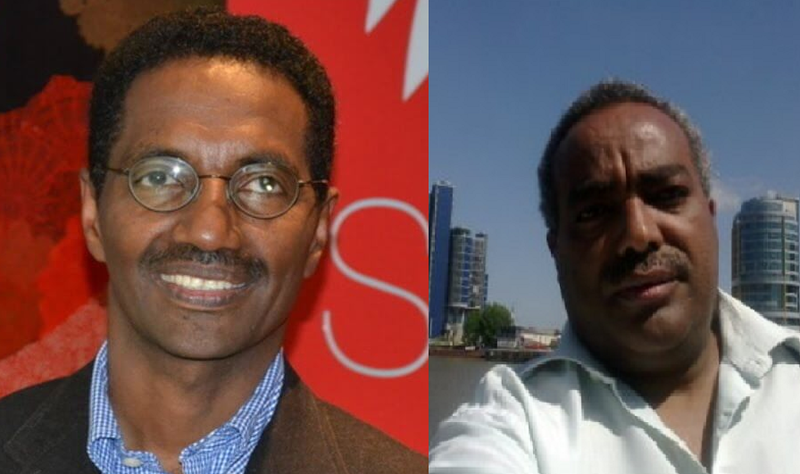 “Ato Nemamen Zelake is in his VA residence and reunited with his family “ says Ethiopian Review Editor Ato Elias Kifle . The two other Ginbot 7 leaders, Dr. Berhanu Nega and Ato Eferm Madebo are still in the capital Asmera and there is no word of whether they are returned back to US or stay there for sometime . There is also a disturbing report that some of TPDM fighters are still strangle in Erteria and their fate is still unknown.